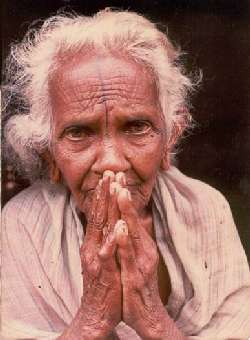 Lest we forget, most of Lord Kataragama's devotees are poor. The poor often have common sense that others lack. Of late there has been considerable agitation in countries like Sri Lanka on the question of whether diverse ethnic communities should adopt a common language. Sri Lankans have learned, at enormous cost, that the arbitrary selection of a 'link language' -- be it English or Sinhala or whatever -- cannot be imposed upon a proud people without dire consequences. And yet, in spite of a long struggle that does not yet appear to be at an end, there is still talk in educated circles of promoting English as the new link language. In the process, nobody seems to have questioned either the nature of such a link language or its function in a multi-ethnic society, much less asked whether such a language might already exist. The assumption has been that there are two or more communities sharing a common interest whose languages are mutually unintelligible. The argument advanced is that if everybody could be persuaded to use English as a link language, peace and prosperity would follow. Nobody is suggesting that some might benefit more, and others less, from such a scheme, although by now this point should have been evident to all concerned. Not surprisingly, it is from the English-speaking community that they cry is heard for designating English as the link language. We ask: whose interests are being held foremost? This is not the first time in the history of Third World countries like Sri Lanka that some astute individuals have seen the advantage of adopting one European language or another. Many have discovered that, by adopting the prevailing foreign language, their interests have advanced relative to those of others who were not as quick. Some would even argue that this has been at the expense of others, but this is a mute point. Adoption of the conqueror's language brings advantages in terms of prestige, influence and wealth to those who are agile enough to 'change with the times'. Perceiving the advantages, they adapt accordingly and reap the reward. With the best of intentions, they now suggest that the downtrodden majority should follow their example so that a new era may dawn for the nation. What are said to be the benefits of everybody adopting English? First and foremost, we are told, the language of the majority will not be imposed upon minorities. Nobody argues with this. Quite the contrary: now the language of the elite is to be imposed -- or foisted, as it were -- upon the vast majority. Does there ever come a time when everyone masters English equally well? When in such a democracy is everybody's interest promoted equally? But what of all the advantages that have come to Sri Lanka and elsewhere via English? If not for English, would the nation have advanced to its current state? The ambition to develop and improve traditional society has taken root here, all thanks to English education. Through a little knowledge of English, one acquires foreign ideas through the press, cinema and television. Soon foreign advice and assistance begin to make sense. Only then can modern philosophies, such as democracy, enter the social mainstream and begin to motivate people. Nobody opposes this. East and West, rich or poor, big or small, all communications comes down to common sense. 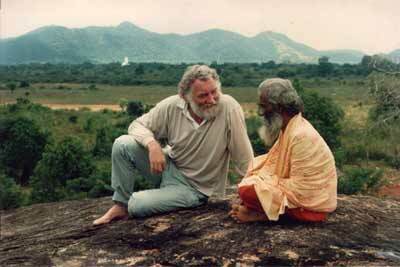 Dr. David Bellamy interviews Matara Swami at Kataragama during the filming of Routes of Wisdom. Sithulhapuwa 1991. 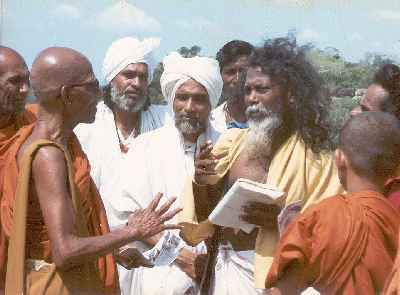 Kataragama devotees of all communities speak a common language. 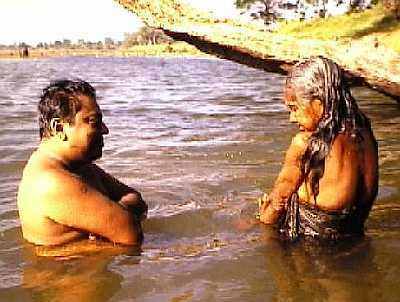 Dialogue: CST Trustee Manik Sandrasagra interviews villager in Anuradhapura District. The alternative to adapting English, as the link language is to adapt nothing at all. But this is no alternative at all, since no one would expect any advantage to accrue. To the English-educated, any other talk is nonsense. After all, villagers have been using their mother tongue for millennia, and where are they now? 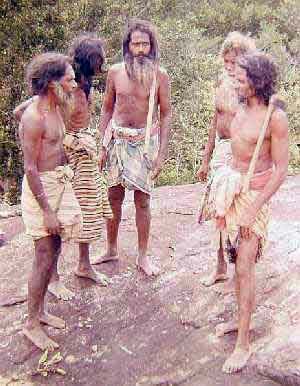 They are still in the villages, adapting only with reluctance to the changes brought by an English-speaking world. They care little for its advantages, so how can anybody help them? Perhaps it is that they simply do not wish to be helped. How else to explain their lethargy and lack of ambition? There may be hope for their children, but for them there seems to be no hope. 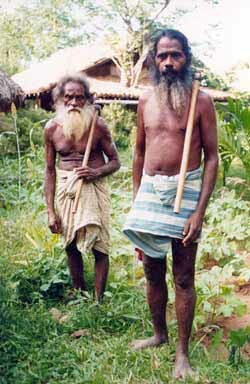 Examples are found in the backward parts of the country, where few wish to go and few wish to leave. And yet Sinhala and Tamil are both spoken in many, if not most, Sri Lankan villages. How have they managed for so long without a link language? Some would argue that there has already been a link language around for a long time. The problem is that there are some people who do not understand it. Small wonder that there is so much confusion in today's world. If people had any real knowledge to share they would already be sharing it, would they not? Any fool knows that. Then who are the ones who do not know this language? This is where the question of sharing and communication enters, for both are of a common essence. Both imply participation. Both are forms of communion. When an intention is shared, it is communicated, and vice-versa. When nothing is shared, then nothing is held in common, and with nothing in common where is the basis for sharing? If a link language already existed, then it might be expected to operate in a setting where extensive sharing occurs. One might call it a characteristic of a communionist society. 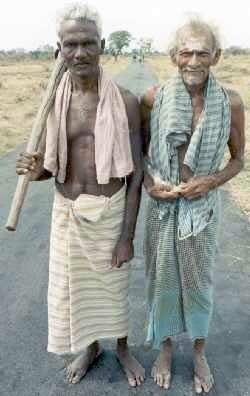 In cultures like Sri Lanka's, one need not look far. Every community has its calendar of festivals or feasts. Even beggars have banquets. In fact, there would seems to be an unwritten rule that the less one owns, the more one shares. They share everything who regard nothing as their own. Conversely, those who have learned ownership often forget how to share. Thus, in a sense, the richest and the poorest both have little left over to share with others. Only those caught in between must decide when to share and when to hold back. Intriguingly, the perspective from the bottom is not unlike that from the top. The same beggars whom a foreign-educated elite regards as hopelessly pitiful feel equal pity for an alienated elite that they look upon as being swollen with ahamkara, egotism. The very people who claim that they can help are often the ones most in need of attention. Who is in a position to judge? We agree that there is a need for people to learn a language that links by common consent, rather than as one community prevailing over another.  The 'Kataragama-Skanda Trilogy' is one such attempt to chart the dynamics of collective sharing as it has come down to us through the ages. A language that is widely used but little understood finds application not only in festive settings like Kataragama but all through Sri Lankan culture in everyday life as well. It is a link language that lays no claim to originality or exclusivity. No one needs to learn it for everybody already knows it. It is the language of common sense, profound and deep in its utter simplicity. The guileless, the simple and the poor are its most eloquent spokesmen. The 'problem' -- or, shall we say, the beauty of it -- is that no one ever fully comprehends it, for it is fathomless. It is of equal access to all, for it is everybody's mother tongue. Truly common sense is the property of none and the heritage of all. Manik Sandrasagra is a founder-trustee of Cultural Survival of Sri Lanka and the Kataragama Devotees Trust. Patrick Harrigan has been actiing editor of the Kataragama Research Publications Project since 1989.